AP PhotosFrom left: Lara Trump, Eric Trump, Donald Trump Jr., and Vanessa Trump. 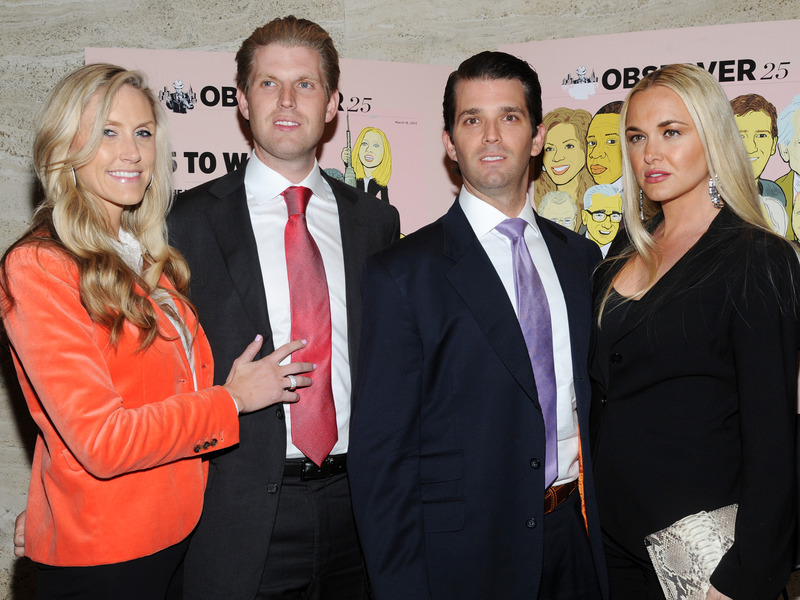 Lara Trump and Vanessa Trump have had divergent approaches to being part of a family that has been catapulted into political power. Vanessa, who on Thursday filed for divorce from Donald Trump Jr., has kept a low profile politically. Lara Trump and Vanessa Trump were thrust into the political arena in 2016 when their father-in-law was elected president of the United States. Neither Vanessa, who on Thursday filed for divorce from Donald Trump Jr., nor Lara, who is married to Eric Trump, has received as much press as Jared Kushner, the White House senior adviser married to Ivanka Trump. But Lara has recently started carving out a spot in politics and is emerging as one of the early leaders of the president’s 2020 reelection campaign. Meanwhile, Vanessa has kept a low profile since the election. On Wednesday, Page Six reported on rumours that she and Donald Jr. were considering divorce, and they filed on Thursday. Here’s a comparison of the two first daughters-in-law – and how their paths have diverged since the election. Vanessa was the first to cross paths with the Trump family. Donald Jr. wasn’t her first famous beau – she made headlines after being spotted with Leonardo DiCaprio at a movie premiere in 1997. Donald Trump actually introduced the couple in 2003 — twice. Vanessa told The New York Times in 2006 that Donald Trump had introduced her to his son at a fashion show twice within five minutes. The pair did not hit it off during the awkward interactions. Six weeks later, they met again at a mutual friend’s party. They didn’t recognise each other until after an hourlong conversation. Vanessa and Donald Jr. married in 2005 at the Mar-a-Lago estate. The couple welcomed their first daughter, Kai Madison, in May 2007. The pair now have five children. The youngest, Chloe, was born in 2014. Vanessa has long been a presence on the charity circuit. Though Donald Jr. spent his early 20s hiding from the spotlight, the pair began to make headlines together more frequently after they married. Vanessa appeared alongside Donald Jr. as he became more involved in his father’s 2016 presidential campaign. But Vanessa herself has stayed out of the spotlight. As Donald Jr. became increasingly aggressive on social media in recent years, embracing various politically — and sometimes factually — incorrect memes, she kept a low profile. Donald Trump Jr.A meme Donald Trump Jr. tweeted out. 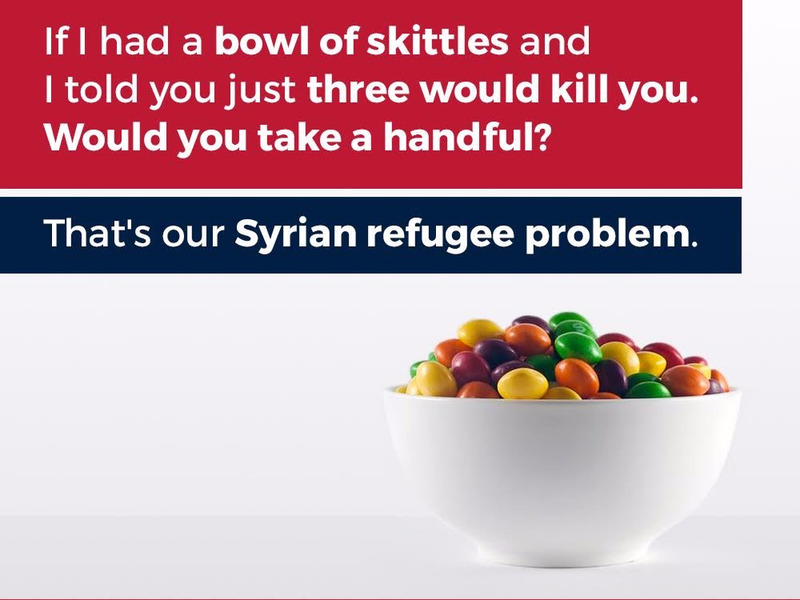 In September 2016, Donald Jr. posted an image comparing supposed terrorists hidden among refugees to poisoned Skittles in a candy bowl. Many criticised the meme as both offensive and factually inaccurate. Around last Halloween, he drew criticism after using a photo of his daughter Chloe to mock socialism. Lara has had a very different reaction to the Trumps’ political rise. Lara and Eric wed in 2014 at Mar-a-Lago. Kushner was the officiant. At the time, Lara was working as a producer on the CBS program “Inside Edition.” However, she stepped down from the position near the end of the 2016 presidential campaign. Lara hit the campaign trail to support her father-in-law, targeting female voters — especially in her home state of North Carolina. “When my father-in-law decided he was running for president, I said to him: ‘Look, this is my home. I know the people in North Carolina, and I want to go down there. You can send me anytime you want,'” Lara said. While Lara had said she would most likely return to her job after the election, supporting the new president quickly turned into a full-time gig. #throwback 11/09/16 around 3:30am #MAGA ???????? By last March, Lara had been hired onto the president’s 2020 reelection campaign. Giles-Parscale, the campaign’s digital vendor, hired Lara as a senior adviser, The Associated Press reported. “Lara Trump is quickly becoming the public face of Donald Trump’s 2020 campaign,” the Raleigh News and Observer reported in June. In late July, Lara came under fire for starring in “Real News Update,” an online series posted on the president’s Facebook page intended to highlight news coverage favourable to him. When it feels like Monday, but it's really Wednesday ???????????? “Presidents and lawmakers have used websites and social media platforms for years to promote their achievements, but the ‘real news’ series goes further, seeking to discredit the mainstream media and advertising what purports to be a reliable alternative,” CNN reported. Despite the backlash, the show continued to update. In September, Lara gave birth to her first child, Luke. Happy birthday, Luke! We are so blessed and proud to be your parents!! ???????????????? But Lara didn’t wait long to return to working on “Real News Update” and appearing on Fox News shows to support the president. Happy day before Friday ???????????????????? Lara has seemed to comfortably fit into the role of a pro-“Make America Great Again” member of the Trump family. When your dogs come to the office… #RealNews #MAGA #DogsForTrump ???????????????????? Vanessa, meanwhile, has mostly avoided political discussion since the election — even as Donald Jr. has doubled down on his involvement on social media and campaigned for candidates backed by his father. Sources told Page Six that Donald Jr.’s frequent travels and obsession with politics were contributing to issues in the relationship. The Trump family’s political involvement has affected Vanessa directly. In February, she was hospitalized as a precaution after opening an envelope with white powder. Meanwhile, Lara is ready and willing to be the face of the president’s reelection campaign. As 2020 approaches, she’s likely to become a bigger power player in the first family.